Find out how to prepare for your math and verbal GRE sections of general exam with the help of tutors, study guides and useful study resources. On this site you will find variety of study tips, test prep advice for your graduate admission journey. We will share variety of tactics that can help you simply do better on your exam, get better score, and show you methods for how your can better prepare. We will show, you study materials, secrets and other resources that can help you succeed in your GRE test. Leverage these tips when preparing for your GRE exam. Like this Video? Click on this link to find out how to study smart essentials! 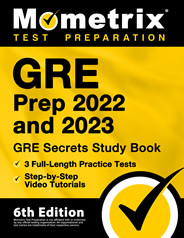 Before you take your GRE exam! They are all designed to help students do better on their exam, all of them have their benefits and bells and whistles. Method 3. Self guided approach. With so many methods and sub-methods available on the market it's difficult to make up your mind exactly with which type of test preparation material it makes sense to study with. Depending on your particular goal, affordability bracket and many other factors it may make more sense to study with one method as oppose to another, however our greatest advice is to leverage multiple resources in your test preparation tactics. 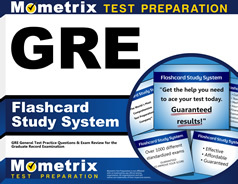 For more info about variety type of methods that are available on the market and how to prepare for your GRE exam using self guided approach visit our sister site StudyGuide.net/GRE there you will find useful resources as well as find out one of the best ways to prepare for your GRE exam, in the form of self guided packaged courses, that are easy to follow and study from. You will also find reference links, general exam info, study tips, advice, recommendations for how to prepare for your exam effectively and much more. We realized that preparing for your exam maybe difficult, we also realize that many students who are going into graduate school, may be faced with the challenge of either taking GRE or GMAT exam or any other graduate type of admission exams. Our role is to make concept of studying for you easier and more affordable. However there are multiple paths to studying for your GRE exam affordably, some of these paths require hiring a local tutor or online or using self guided materials. In this article, you will learn concepts of hiring independent GRE tutor vs agency managed GRE tutor, and how knowing the differences between the two, in your particular situation, within your particular geographic region, within your particular skill set, within your particular risk tolerance, can help you make the right type of decision whether you should hire agency managed local GRE tutor or independent tutor. In this article we will explain to students who are preparing for GRE and looking for tutors, why getting cheapest GRE tutor may not necessarily be the best fit for your particular test preparation needs. It will explain differences between, the type of GRE tutors that exist out there on the market, and what to consider when hiring GRE tutor from a local agency, or from any other big site where there is a mass amount of tutors. We will cases where you should hire a tutoring agency who manages their GRE tutors VS Agency who does not manages their GRE., and what exactly does that mean for you the student, who is trying to save a quick buck on your test preparation journey. This article will help you understand how to pick GRE tutors, and who to get help from. We can help you find a local or online tutor, how exactly do we do that? Well, we have this website called www.TutoringServices.com where tutors register and advertise themselves FREE of charge, offering their GRE Math and Verbal Tutoring Services for local and online students. Best part about them is that many of them only charge for the first lesson $15, giving students opportunity to try their tutor before committing further with any of the lessons. When registering on our site tutors agree to provide first lesson FREE of charge and authorize our agency charge student who are interested in GRE tutoring services $15 on behalf of the tutor, meaning during registration some tutors declares their $15 for first lesson Trial offering in exchange for being listed on our site, showing up higher, in search results and not be limited to messaging restriction. There are other perks we also give tutors, for offering $15. For example as a bonus feature we may show $15 tutors on our sister sites related to GRE or other type of perks relevant to particular Tutor. Therefore, at the end of the day, tutor gets a good deal without having to have any middle man in between charging recurring agency fee, student gets a good deal for not having to pay for every hour agency recurring fee, and agency gets a good deal for helping both parties come together by providing such match making service. What this translates into is way more affordable education, with no middle man in between, making GRE test preparation education more affordable then it was previously before. The downside of this strategy though is that you must do your own research when hiring a tutor, and do your own due diligence, such as verifying background checks, educational records, testimonials, verification of tutor experience, references and many other things things that student typically wouldn't have to do if they were to go through an agency. Hence clearly there is a higher risk factor involved when hiring independent tutor as oppose to going with help of an agency. However not every student can afford agency managed GRE tutor and therefore simply prefer to strike on their own and search for their own tutor without the help of an agency in order to save money. Indeed in many cases students can save money on independent tutors, however the quality of the tutor and learning effectiveness will be questionable, since many of the steps will be skipped. Even if you see huge site, who claims they do background checks, who claims they do interview each tutor, is still not capable enough of making sure that the tutor who you end up getting is adequate. Simply because many tutors out there managed by big tutoring agencies, with lots of tutors are unable to keep control of them. Smaller tutoring agencies however can keep control of their local tutoring student market, therefore quality from local tutoring match making agency tends to be much higher then you would get from a typical big website with tons of GRE tutors. Since quality is indeed better for match making service and tutor is more likely to be adequate and more likely to provide higher level of educational learning effectiveness for your GRE test, because local agencies actually end up hiring tutors and interviewing them and way more careful then some big site with 10000s of thousands of tutors on there. Therefore, local GRE tutoring agencies charge recurring commission fee, because they do this cross reference verification, background checks, GRE score verification, educational record, and conduct face to face interviews and in addition to that talk to you on the phone and search for tutors online who are within your criteria match helping you save time, and helping you maximize your chances of actually being matched with the right type of GRE local private tutor. Plus remember there are other things agency must do, such as actually managing tutor, contracts, sending payments, collecting payments, talking to students, maintaining scheduling of tutors. Some local GRE tutor match making agencies though provide lower agency recurring comission fees, then others and some charge more. Remember independent tutor doesn't necessarily means you end up saving money, the amount of time you end up searching for the right tutor and doing background checks and other versification, collecting references, reviews, can easily equate into spending the same amount of money that you would spend on the tutor with agency, except in many cases you will simply have more headaches when trying to go with an independent tutor as oppose to agency ones, especially if you are very careful about who you chose. Plus agencies have tutor discount package deals, something that not every independent tutor provides and some agencies even have entire network of local tutoring sites closely located to each other specifically designed to provide better incentive for their tutors to work for such agencies, resulting in tutors simply agreeing to work for such agencies and in fact end up charging less! then independent type of tutors. Simply because, such tutors realize that it's ok for them to charge less, simply because they will most likely get more students form the agency, and in fact depending on which local tutoring agency you hire, you may end up simply getting better deal then hiring an independent tutor, and in some cases depending on what the tutoring recurring agency fees are you may even end up getting cheaper tutor from the agency then an independent tutor and skip lots of headaches when trying to find a GRE tutor. Many students realize that they clearly want to do better on their GRE test and want the best level of educational support, and want the best tutor for them, therefore many students realize the differences between agency managed tutors and independent tutors who are not agency managed. The best comparison is like, comparing GMO food to Organic food, you can think of it this way. Organic Food = Agency Managed GRE Tutors and therefore there is agency recurring fee, GMO Food = Independent GRE Tutors and therefore there is no agency recurring fee, because risk level of hiring effective tutor vs less effective tutor is higher when hiring independent tutor as oppose to agency managed GRE tutor. So where can students find Agency Managed GRE Tutors and how do I find them? What if I am outside of CT | NY and NJ area? However if you are outside of these areas, feel free to visit our independent tutors listing site at www.TutoringServices.com We realize that not everyone is residing in CT NY and NJ, however we only cover these 4 counties for now. If you are located in any other counties, then our only advice is follow the following tactic if you want to hire GRE agency tutor, this tactic is very effective in finding legit companies who can help you get matched with the GRE Verbal or Quantitative tutor. See which agency pops up, if you see big company site popping up with lots of tutors, skip such site right away, and go to the next listing, look for smaller local tutoring agencies, specializing in Test Prep and private match making tutoring locally, even if it's a local class offered by learning center, it's still less riskier then hiring someone from a site with thousands of tutors. (in case if you are wondering why i didn't say google and said Bing, reason for that is simple, Google is not favorably positioned in the direction of the small tutoring agencies, google search engine in general mostly for bigger sites, however small agencies do not have time to be creating massive marketing campaigns or hiring team of graphic design experts to adhere to every single thing google want. Hence this is why you don't see smaller type of agencies, popping up all over the place on google, however you can find them on Bing. Microsoft was smart to actually figure out that google simply doesn't server everyones needs and created Bing, making it easier for smaller guys to reach out to local students, therefore anytime you are trying to search anything local and education related, definitely use Bing. If you are thinking some agencies sitting there waiting for your call, and ready to pick up the phone any time, you are wrong. Such agencies are small and have typically other businesses also that they run that supplement their agency income, however such smaller tutoring agencies have connects, and can hook you up with the tutor, who they personally end up knowing or even if they do not have one can help you find one, simply because that is what they do and specialize in. If you don't leave a voice mail, many of them won't even bother calling back (many agencies use this tactic as filtering mechanism to ensure if tutor is really looking for GRE tutor or not). Reason for that is because there is a lot of students simply call ask for price but never commit. Hence in some cases you will see agencies will even ask students for small deposit fee, before they begin helping you find reliable GRE tutor. Don't be offended by such requests, if you see such company offering that, this is one of the indications that they are legit, and simply trying to protect themselves from spending too much time, match making you with the GRE tutor. If you are wondering if our agency does that? We don't ask for any deposits, we probably should, but we don't we have other methods of attracting students to either use our services or variety of other highly relevant services. If they do tell you that, this is an indication that they are legit, it's not easy to find GRE tutor locally for particular student. However, using agency to help you find a tutor, can cost most certainly way less then attempting to find one on your own, with all of the verification checks completed. Note in some cases you may even search in parallel for your GRE tutor to what agency is doing, however be sure to notify such agency if that's the case, sometimes agencies, make you sign contracts before they begin engagement of finding you tutor, if agency makes you sign such contract before finding you one, watch out. The only time you want to sign contract is in the case of tutor actually being found, and before they show up in your home. In case if you are wondering what we are talking about why we keep saying risky. Visit our sister site here FairfieldTutor.com then scroll down to the section where we share a video with you explaining why hiring agency managed tutor is always was and always will be less riskier then hiring independent GRE tutors. However, reality is, many students simply don't know that and often don't go for agencies, only to realize that they ended up doing bad on their test, or getting someone inadequate, however that is not always the case. If you do happen to be from CT NY and NJ then we suggest definitely calling us on the phone and help you get matched with the local GRE tutor, as oppose to getting independent tutor. Of course if we can not help you, which is also possible, if for example you have unrealistic request such as asking for GRE tutor less then an expected geographic hourly rate. Remember tutors also go to get paid, they will not work for unrealistic rate. Although time is limited on the GRE, working too quickly can damage on score. Many problems hinge on subtle points, and most require careful reading of the setup. Because undergraduate school puts such heavy reading loads on students, many will follow their academic conditioning and read the questions quickly, looking only for the gust of what the question is asking. Once they found it, they mark their answer and move on, confident they have answered it correctly. Later, many are started to discover that they missed questions because they either misread the problems or overlooked subtle points. To do well in your undergraduate classes, you had to attempt to solve every, or nearly every, problem on a test. Not so with the GRE. In fact, if you try to solve every problem on the test, you will probably damage your score. For the vast majority of people, the key to performing well on the GRE is not the number of questions they solve, within reason, but the percentage they solve correctly. Subject Test are designed to test the fundamental knowledge most important for successful graduate study in a particular subject area. In order to do well on a GRE Subject Test, you need to have an extensive background in the particular subject area — the sort of background you would be expected to have if you majored in the subject. Subject Tests enable admissions offers to compare students from different colleges with different standards and curricula. Not every graduate school or program requireds Subject Test, so check admission requirements at those schools in which you’re interested. Apply the following techniques to find the best antonyms (opposite) from the five given choices in the antonym questions. Often the first question or two on your verbal section will be an antonym question. Remember, the earliest questions you face on the GRE weigh more heavily than the final ones you answer. Take the time you need to answer these early questions correctly. There are many appraoches to learning new vocabulary. The right way is the way that works for you. Generally, this is going to involve a combination of techniques and tools. Mnemonic devices are things that help you remember something. 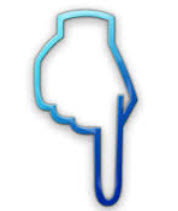 They work by creating a link in your memory between a word and its definition through another associated image, phrase, or sound (or smell for that matter, but we don’t have any good examples for those). When you come up with a mnemonic tool, you are helping your brain by working with or creating associations that make it easier for you to remember a definition. There are very few rules when it comes to good mnemonics. In fact, there’s only one that really matters: If it works, it’s good. Look at a word and its definition. Is there anything about either one that makes you think of something else? Reminds you of something or someone? If so, is there a way you can connect that association with the word and its definition? Let’s take a simple example for the word fallow. If you looked at the definition for the word (untilled, inactive, dormant) and the first thing that popped into your head was a picture of your brother Fred, who’s been out of work for the last six months and has spent that time lying on the couch, then you could use that image as a mnemonic device. The initial F in each word, Fred and fallow, links the two, and you associate Fred with inactivity, which reminds you that fallow means inactive and dormant. You do have to be careful here to distinguish between the association as a tool to remember the definition, and the definition itself, since idiomatic usage dictates that fallow is not usually used to describe people, though it can be used to describe parts of people (such as their minds). While this example used an association from personal life, some mnemonics rely primarily on similar sounds and (often crazy) images to create associations. To come up with these, try to find a part or parts of the word that look or sound like other words that can lead you to the correct definition of the original. The connecting words should create specific, detailed images in your mind that have association with the definition you are looking for. The sillier the images, the better they work! Here are some examples borrowed from The Princeton Review’s Illustrated Word Smart. Before we discuss specific strategies for learning vocabulary, we need to talk about how you know which words you already know. Sounds a little weird, doesn’t it? You may think it’s like a light switch with only two position: You either know a word or you don’t. However, the English language is actually divided into three categories: words you know, words you sort of know, and words you’ve never heard of. The best way to figure out which category a word belongs in is to imagine yourself walking down the street when a small spaceship lands in front of you. An alien emerges to greet you. Since we’ve already got you imagining a close encounter, it shouldn’t be too much of a stretch to imagine that the alien starts you for help defining words. The first word it asks you to define is apple. You respond by saying, “An apple is a type of fruit that grows on a tree, has an edible skin and a core with seeds in it, and is usually green, red, or yellow.” Apple is therefore a word you know, because it’s one for which you can provide a dictionary definition. The next word alien asks about is on the opposite end of the spectrum – acarpous, for instance. For all you know, this might be a word in Alienese; it falls into the “Huh?” category of words you don’t know at all. Finally, the alient, whom you’ve grown somewhat fond of by now, asks you to define integrity. This is probably a word you’ve seen many a times and used yourself, but how do you define it for your new friend? If you use examples or a story to explain integrity, it falls into the category of words you sort of know. It is easy to see why you need to learn the words you don’t know at all that are likely to appear on the GRE. It might be a little less obvious why the “sort of” words are important, but it is every bit as critical to recognize these and learn their dictionary definitions. Although it might seem fine to skip over these words since you already sort of know them, you must be able to define them clearly in order to deal with them effectively on the test. If you are unsure about whether a word is a “sort of” or a “definitely” know, try defining it for your alient visitor. Do you want to updates your device? Samsung firmware will help you to update your Samsung device. We will provide you latest official Samsung firmware to update your mobile. There may also be words you are sure you know, but that have secondary definitions ETS loves to try to trick you with. Often these secondary definitions involve a change in a word’s part of speech. For example, you probably know “color” as a noun, but do you know what it means as a verb? The Computer Adaptive format of the GRE makes knowing this vocabulary even more critical. On a Computer Adaptive Test (CAT), the computer tries to determine your “scoring level” by asking you a series of questions. At the beginning of the test, the computer doesn’t know anything about your scoring level, so it makes broad guesses. The first question will be of average difficulty, and if you get it right, the next question will be significantly more difficult. Similarly, if you get the first question wrong, the next one will be significantly easier. If you continue to answer questions correctly, your score keeps going up. The closer the computer gets to determining your final score (ie, the closer you get to the end of the section), the smaller the adjustments it makes as it recalculates your score based on your response to each question. The most important consequence of this structure is that questions at the beginning of the section have a greater impact on your score than do those toward the end of the section. Answering questions correctly at the beginning of the section can move your score up by about 40 to 80 points. By the end of the section, each question will only adjust your score by 10 or 20 points. The bottom line is: It is critical that you be able to correctly answer the first several questions on the section. Knowing the stem words in those questions and answer choices is the key to doing so. After all, an antonym that appears in the first ten questions for which you don’t know the stem word is a question you can’t do much with. An antonym for which you know the stem word and at least four of the five words in the answer choices is a piece of cake. Although the writing portion of the GRE does not directly test your vocabulary, the language you use will definitely play a role in the score you receive. The more precisely you choose your words, the more certain you can be of accurately conveying your ideas. Also, using a variety of words properly will improve your score. Notice that we said properly! This is an important caveat for the Writing Sample and the rest of your life. A big word improperly used can be more dangerous than a nice safe word used correctly. Using a word properly doesn’t just mean picking a word with a dictionary definition that matches your intended meaning. Context matters too. You have to know whether the word you want is only used in the plural, or if it always goes with a particular preposition. Is there a particular phrase it’s usually seen in? Is it only used literally or can it be used metaphorically as well? Learning words in context will ensure that you can answer these questions. It will also allow you to use your new vocabulary or the Analytical Writing portion of the GRE with confidence. Now that you know what kinds of words are tested on the GRE, we can look at how they are used in actual questions. Vocabulary is central to 3 of the 4 question types on the Verbal section (sentence completions, analogies, and antonyms) and pretty darn useful for the fourth (reading comprehension). Your use of language, which includes word choice, is also very important for the writing portion of the test. When answering analogy and antonym questions, the more words you can define in the stem (the word or words in the question) and in the answer choices, the greater your likelihood of choosing the correct answer to the question. Knowing which four answer choices don’t work will get you to the credited response as surely as will knowing which one is right. You don’t even have to know the word(s) in the correct answer, as long as you can define and eliminate the ones in the wrong answer choices. We call this the magic of Process of Elimination, POE. Sentence completions work in a similar way. First, you need to figure out the meaning of the words that belong in each blank. Then, you have to know the definitions of enough of the words in the answer choices to be able to narrow them down to a single answer, or at least a strong guess. Ultimately, having a strong vocabulary is the key to getting the highest scores on the verbal section of the GRE. The difficulty level of a question on the test is determined by how many or few people on average will answer it correctly. What makes a sentence completion, analogy, or antonym question hard (ie, something that most people cannot answer correctly) is the difficulty of the vocabulary. For example, the hardest analogy may have the exact same relationship between the two words in the stem as the easiest analogy has, but the words in the former are much more obscure than those on the latter. To get the highest verbal score, you have to know the hardest words the GRE will test. © Copyright 2009 ® All rights reserved by GRE Tutors. 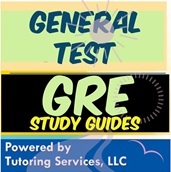 Find GRE Resources, Tutors & Practice Tests.